Honda plans price hikes; car makers offer heavy discounts! If you are planning to buy a Honda car anytime soon, better hurry because come April 1, prices of all Honda models, barring the Accord, will go up by 2-3%. The hike is being implemented due to high cost of raw materials and rising input costs. However, this is also the best time to buy a vehicle, with car makers, including Honda, offering attractive incentives and deals to clear piled-up stock. 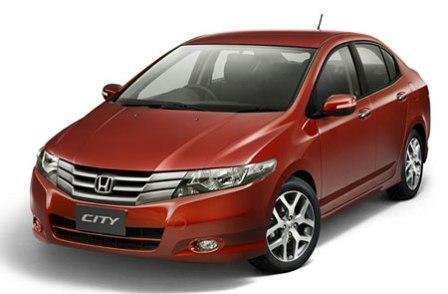 For instance, the Honda City is now offered with free insurance in a bid to revive sales, which have plummeted owing to a series of recalls Honda issued since the beginning of the year. That aside, the company is also offering a rebate of up to Rs 55,000 on its models. According to reports, these are the highest discounts in the fiscal, much better than what one can hope to get in December, when car makers usually offer the best discounts to clear pending stock. Post-Budget-price-hike concerns had led car makers to push additional stock to dealers in February. However, despite a record 1.89 lakhs cars being sold in that month, there is excess stock piled up at dealerships. « Spy Shots: New Ford Fiesta caught testing in Chennai traffic!